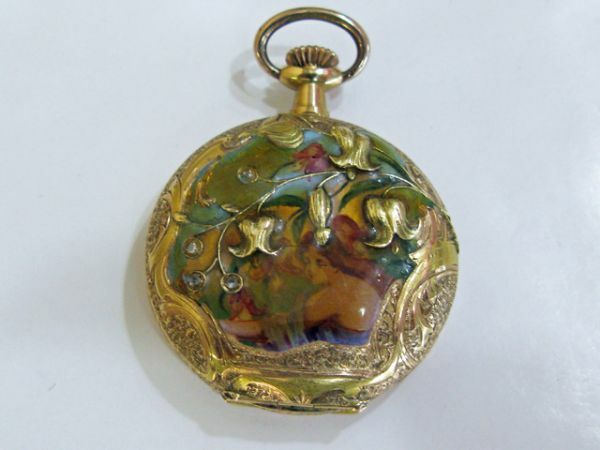 A beautiful 18kt yellow gold stem wind Art Nouveau full hunter pocket watch. 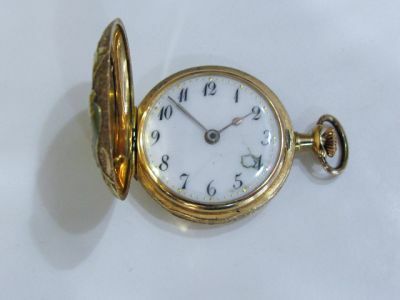 The 25.0mm watch has a white dial (with a chip at 4 o'clock), black Breguet numerals and gold & blue tone hour & minute hands. Case: 2153 280153 10 Rubis Recompenses Prima Patent No. 280153. 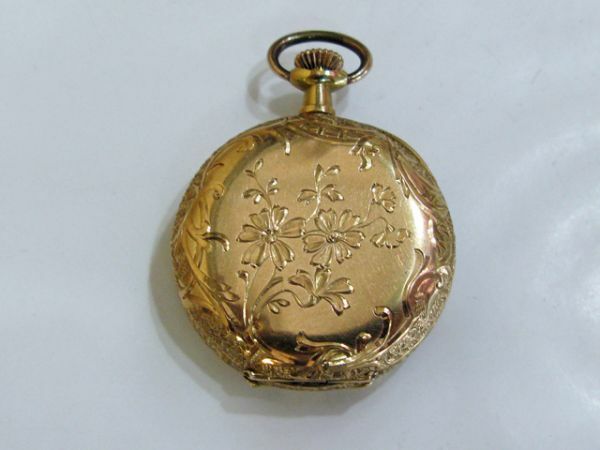 The dust cover is stamped with awards Geneve 1896 Paris 1899. The front outcase has an enamel portrait of a lady and set with 4 rose cut diamonds, est. 0.03ct. (clarity:SI & J-K colour). The back outcase has an engraved floral design.